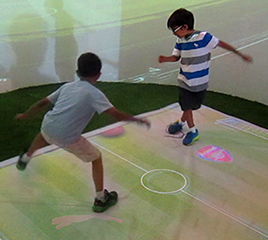 The New FluidCast interactive Projection System is revolutionary not only because of the technology inside but also because it is the most practical, robust, fun and cost-effective gesture platform for kids. 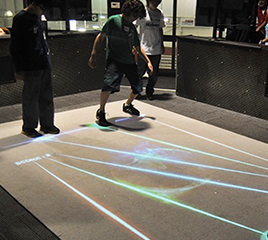 Interactive Floors and Interactive Walls created with this system and it can convert any space into an unforgettable fun-filled experience. Promote cooperation and fun-learning among kids and have optimum space utilization with special single player and Multiplayer games. 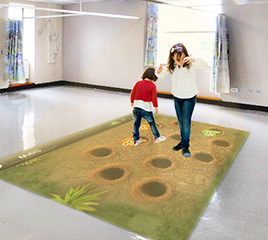 Create indoor interactive play areas that promote learning and physical activity at the same time. 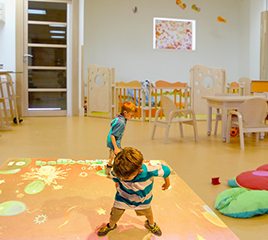 Increase indoor activities with the same fun and physicality of outdoor games and add to your crèche’s value proposition. Make exercising a fun activity. Scientific combination of interactive games with physical excercises to enhance skeletal and muscular growth. 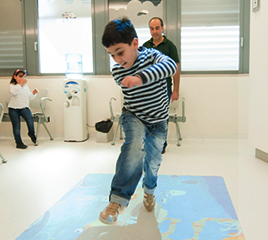 Keep kids engaged with loads of fun even while they are at the hospital. Create innovative fun zones that kids want to come back to while letting their parents spend hours shopping without being bothered.